If required a quality gift/presentation box is available. (please see image). 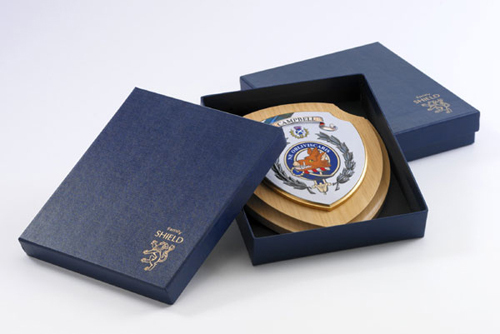 Each shield is fitted with a hanging device on the reverse. 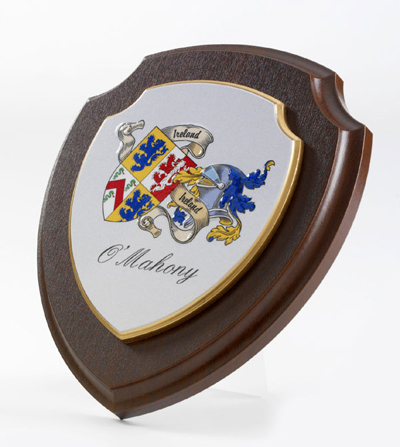 A handy prop-stand is available which allows the shield to be displayed on a table/desk etc. (please see image). Approx size of shield 181x156mm (7x6).